Have you ever wondered who are the most famous fictional witches in mythology? As we all know witches are mostly famous for their actions. Granted, they were not always serving the right side but they were always fighting for a cause. Those witches, whose names have been passed on in tales, are entrenched in our childhood memories. They were helping heroes fight in Ancient Greece, stole children around the world or spun the fate of mere humans on spinning machines. But most of all, they helped women fight the taboos they faced in various epochs. 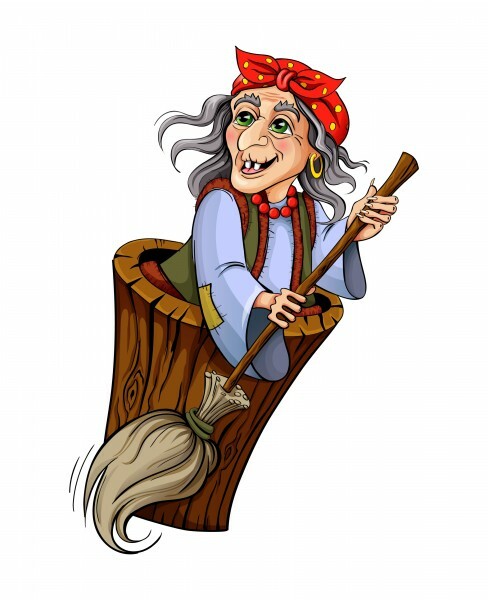 Witches are usually womanly figures and some are quite beautiful, contrary to the recent belief that all witches should be old with their faces covered in pimples and warts. And they are powerful. So, beware if you decide to annoy one. Witches from mythology were passed down in literature under one form or another: it is said that the three witches from Shakespeare’s Macbeth were borrowed from the myth of the Graiai or The Three Gray Sisters (they who had gray hair, shared one eye and one tooth), for example. Baba Yaga, the witch from Russian folktales, is another example of mythological witches passed into literature and is even the nickname of John Wick in the eponymous movie. But if you’re looking for a child’s name, it might be better to look into works of fiction than mythology. Baba Yaga might be hard to bear for a child. Considering fiction, Sabrina is a good name. It comes from Sabrina, The Teenage Witch. More recently, there is Hermione from the world-famous series of Harry Potter books. And there are plenty of names of witches in history to choose from: Anne Boylen, Marie Laveau, Catherine Monvoisin… No need to go into mythology to find a beautiful witch name for your baby. Don’t forget to check our article about the 13 Most Famous Witches in History to have a more complete view about the long story of witches and how they evolve with society. Finally, if you’re looking for a witch name for yourself, the Internet offers plenty of websites that will help you craft the perfect name for yourself. To put this article together, we mused on many websites like this TalesBeyondBelief or this Greeka dealing with legendary facts. We read (or read again with pleasure) mythological tales like Homer’s Odyssey and folktales (Russia, Europe, the US…) from all over the world. And then, yours truly decided which were the most famous fictional witches in mythology who should absolutely make it to this list.